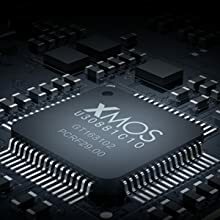 Equipped with an XMOS U30881C10 USB receiver chip, the K3 is capable of decoding up to 384kHz/32 bit PCM and native DSD256. 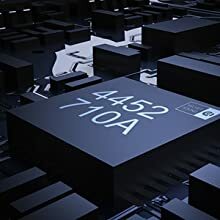 The combination of high-performance AKM AK4452 DAC with low-distortion op-amps OPA926x2 and professional-grade LPF TI OPA1612 make up for a outstanding performance. The USB Type-C ensures a more reliable and stable connection. Moreover, the K3 implements overvoltage protection (OVP) and a double-filter circuit to ensure power supply stability. In high-performance applications, you can use the 2.0 mode to enjoy up to 384kHz/DSD 256 decoding; For certain situations, you can use the 1.0 mode to enjoy up to 96kHz/24-bit PCM audio without needing any drivers. 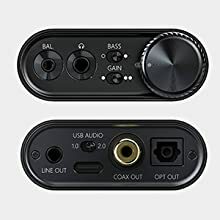 The use of ADC volume control can not only eliminate channel volume imbalances, but also allows the user to smoothly adjust the volume to a more accurate and finer degree to boost headphones of all kinds of sensitivity for a variety of listening needs. The volume knob, with 45° notches etched onto its surface and perfectly sized to allow easy one-finger operation. Next to the volume knob is an RGB light that indicates what kind of digital audio is being input to the K3. The all-aluminum black body has been painstakingly CNC-machined, anodized, and sandblasted to ensure that the K3 feels robust yet perfectly textured for a great feel in your hands. 1. What does the K3 indicator mean? 2. Can I connect the K3 with an iOS or Android device? The K3 is a USB power and data combo interface，designed for desktop computers or laptop. Mobile devices are not recommended. A:K3's coaxial and optical can output simultaneously with the headphone port, and is not subject to volume control. Coaxial can support up to 192k/24bit and DSD64 DOP output, while Optical can support up to 96k/24bit. 4. 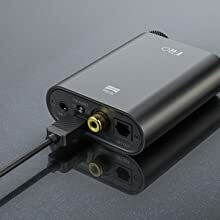 Why sometimes there is no sound when K3's coaxial and optical output is connected to the speaker? A: When the PC player output device is set to "KS"or "ASIO", the sampling rate of K3's Coaxial and Optical output is followed by the tracks themselves. 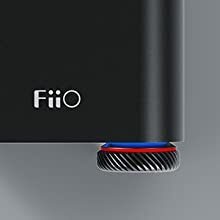 However, most speakers on the market with SPDIF input only support 48kHz sampling rate, so there will be no sound output. For this kind of use environment, it is recommended to set the output device to "DS" or "wave out" on the music program on your computer. 5. Can the K3's balanced headphone output and 3.5mm single-ended headphone output work at the same time? 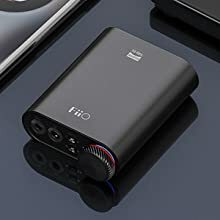 A: The K3's balanced output has a higher priority than the 3.5mm single-ended(SE) Headphone out, so when the K3 is connected to both the 2.5mm balanced and 3.5mm SE headphones, only the balanced output port will output sound. 6. 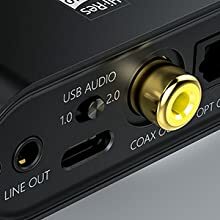 What is the difference between USB AUDIO 1.0/2.0 in K3? How to operate and make it work? A: In order to meet the flexible use of K3, we have designed two modes. 1. USB AUDIO 1.0 does not need to install the driver, and please connect the K3 with the computer and then play songs directly. it could support up to 96k/24bit. 2. 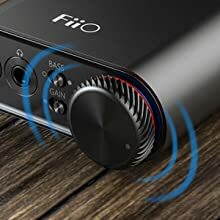 USB AUDIO 2.0 is required to install FiiO official driver firstly. 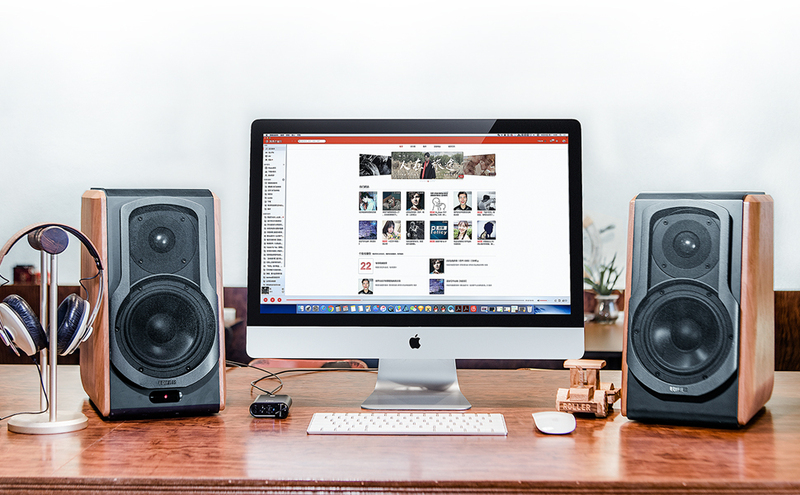 The lastest DAC Driver is v4.47.0: on our website It could support up to 384k/32bit and DSD256. After the two modes are switched, you need to re-plug the USB or power the K3 on/off to make the USB AUDIO mode take effect.